xv driver is having playback issue with webcam capture, it plays green screen. It was firstly found when using stock 12.04.3 image, during on installing step of "Choose a Picture", the webcam view only playback with green screen, but it still can capture correctly if you hit the button. on system with haswell chipset, webcam capture will playback with green screen. its also verified on 12.04.2 stock image with the same webcam. Ubiquity bugs are only tracked in Ubuntu ubiquity package. This issue will not be fixed, in later releases webcam step has been altogether removed, due to being buggy, creepy and not providing significant benefit to the users. We may push a change in ubiquity to also remove the webcam step in 12.04.4 release but I'm not sure that qualifies under stable release updates policy. thanks for the informative comment, I will remove ubiquity from affected package and update the description. however using other video output driver could play normally. @sarvatt your ppa fix this issue. debdiff containing the fix for 13.04. The attachment "xserver-xorg-video-intel_2.21.6-0ubuntu4.2.debdiff" seems to be a debdiff. The ubuntu-sponsors team has been subscribed to the bug report so that they can review and hopefully sponsor the debdiff. If the attachment isn't a patch, please remove the "patch" flag from the attachment, remove the "patch" tag, and if you are member of the ~ubuntu-sponsors, unsubscribe the team. 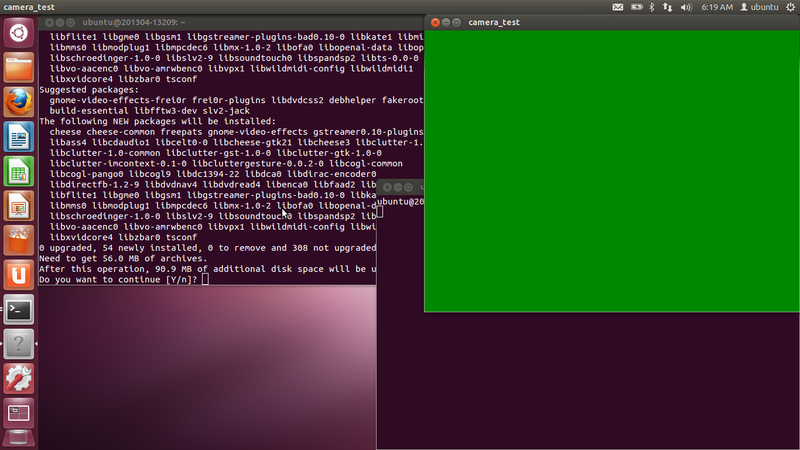 Tested xserver-xorg-video-intel/2:2.21.6-0ubuntu4.3, previously green xv video in mplayer is now working properly. Verify this with precise-proposed, tested with original affected system, no more green playback issue. * verify by "/usr/share/checkbox/scripts/camera_test display"